When you own a condo you, not your condo association, are responsible for what is inside. Many condo owners don’t think about the expense to replace the interior items in their condo if it were to burn down. 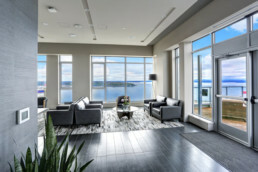 The condo association usually has insurance covering the common areas and condo building, but you are responsible for insuring certain personal items and property in your condo unit. Not only should you be concerned with your contents, but also your liability. If you have a guest over and they slip and fall in your unit, you are responsible not your association. At Harrah & Associates, we understand how important it is to offer the right coverage at an affordable price. Call us today or fill out the free condo quote form to start your savings.